Nova Scotia Vegetable Blog: Compost Tea Workshop! 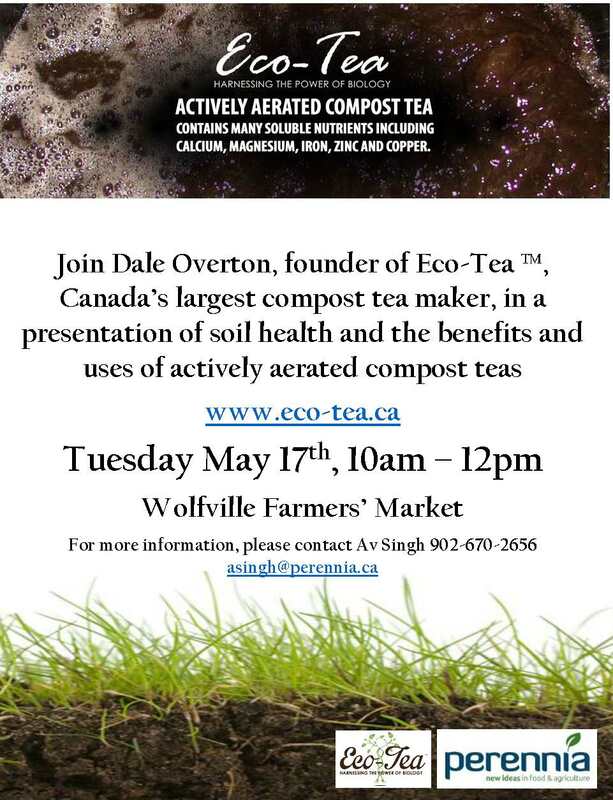 Perennia is proud to host Dale Overton, founder of Eco-Tea in Manitoba, as he shares his thoughts on soil health and the uses/benefits of aerated compost tea. Dale will focus on using compost tea on grapes, haskaps, berries, vegetables, and orchards, however much of his work in western Canada is on grain crops and pastures. 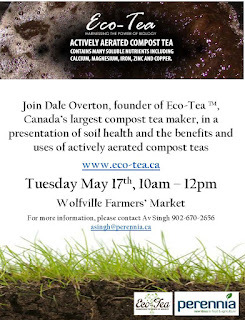 The session is at the Wolfville Farmers’ Market at 10AM on Tuesday May 17th. Please share the invite to all interested. For more information, please contact Av Singh.